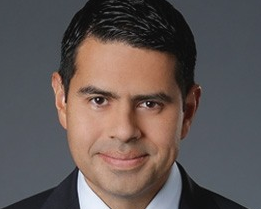 NBCUniversal has promoted Cesar Conde to the new role overseeing the company’s Spanish-language business, with former incumbent Joe Uva stepping aside. Conde (left) has been named chairman of NBCU International Group and NBCUniversal Telemundo Enterprises, having been executive VP of NBCU’s domestic US operations since October 2013. He will now oversee channels such as Telemundo, NBC Universo, Telemundo International and NBC Deportes. Uva, who was NBCU’s chairman of Hispanic enterprises and content, is expected to move into an advisory role working on Hispanic-language sport unit NBC Deportes’s move to a new state-of-the-art broadcast facility. Conde takes on his new post on October 12, and will continue to report to NBCU CEO Steve Burke. Before joining NBCU, Conde was president of Univision’s networks unit, which is the leading Hispanic US broadcast network and the main rival of NBCU’s Telemundo. The outgoing Uva is also a former high-ranking Univision executive, having been president and CEO of parent company Univision Communications between 2007 and 2011.